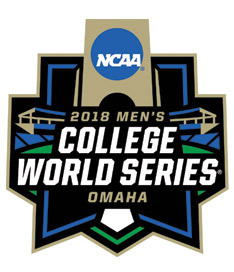 Subscribe to comments with RSS or TrackBack to '2018 CWS Super-Regionals recap, CWS field and predictions'. I still think Kowar will come back to haunt us. He was great in the super regional. It’s tough to watch the Nats right now. They got swept by a team that came into the series nine games under .500. They lost games in which they scored five and six runs, but their pitching wasn’t good enough, then in their one well-pitched game, they didn’t score at all. Sigh. Hey Red Sox, we’ll trade you the ultimate Yankee killer straight up for Mookie. Whatdaya say? I’m writing this between games, so how does Soto top 433 feet in the nightcap? I guess we’ll see a Herrera thread. Thumbs up from me. Thumbs up from me, too. I’ve never been a Perkins fan, dating back to when he was drafted, and Gutierrez has not shown the power necessary to play a corner position in the majors. Herrera may have been the best reliever on the market this year, and the Nats got him before the market heated up. Let’s hope this finally spells the end of Shawn Kelley. Todd… You must feel a little silly now arguing that Bryce’s 2016 months long slump was all injury related. Even when his agent said he was not injured. You still think he is incapable of horrendous slumps? Dude is a streaky pull of the ball hitter for years now. Good thing it showed up again so we didn’t waste the $400 million watching him jog out to first every ground ball. But here he goes with another underserved all star game again. Please show me his stats at every all star break. He might have deserved one of the 8. On the other hand. I need to fall on my own sword regarding the love for Trea Turner. He has regressed badly at the plate the last two years. His swing just got way too long. It used to be whippy around his body and shorter. But now it’s just straight armed long like a bad version of a John Olereud swing. He needs a total rebuild before it’s too late to save him. He’s getting a few hits but I’m never confident when he’s up there anymore. Herrera trade – you know, I tend to think all teams are smart these days, and there are no real winners/losers. its more about matching timelines (value now for value later). But this one seems pretty good for the Nats. I kind of like Perkins and esp. Gutierrez, but neither are significant nor at positions of scarcity in the org. The young kid, well I’ve never heard of him before but his profile (17 yr old pitcher who hasn’t made it stateside yet) makes him extremely expendable for a contender. But it is curious to think about the cost difference here v. last summer’s big trade with OAK. I understand the obvious differences (2 players v 1, extra years of control), but Herrera is probably the best pitcher in the group (at least at the time of trade, Doolittle has done quite well since the trade and is probably better right now), and all three players in the OAK deal are better than anyone in this one. Just seems remarkable, that’s all. I think Doolittle was pretty clearly a better pitcher than Herrera at the time of trade. The reason OAK got more in return was because we got 3.5 years of Doolittle (at bargain prices) and 1.5 of Madson (at roughly market value prices) compared to .5 of Herrera at roughly market price. Five years of two pitchers is a lot more value than .5 of one. I see a deserving hitter in all four seasons, a monster in one of the seasons, and an all time great beast in one other. He’s certainly in the midst of an ugly slump right now, though. The smart money is on him busting out of it – but there’s no denying that he looks terrible. I’ve thought for some time now that Gutierrez and Perkins were two of the most overrated players in the system. I’m glad they’re gone so people will stop making ridiculous projections for them. To get the best closer on the market for them, and to get six extra weeks beyond the trade deadline, are beyond my wildest dreams. Gutierrez plays a corner position but has no power. End of story. His K’s have also spiked over the last two years. Perkins was an overdraft/overpay from the very beginning. Never liked the pick, and apparently they only messed him up by trying to make him a switch-hitter. He’s hitting .234 and “slugging” .290, with only one homer. His career was nearly dead in the water with the Nats, passed by Soto, Robles, Johnson, and Agustin, to name a few. In short, neither of these guys really figured in the Nats’ future plans, and they were able to flip them for the best reliever on the board. Now let’s see what they can do for a catcher . . . (but unlike the Nats Talk crowd, I don’t want to pay the premium for Realmuto). Cervelli, Ramos, Barnhart, Lucroy, . . .
Svrluga is also arguing that the Nats need to add a starting pitcher. I’m somewhat ambivalent on that, unless Stras is hurt more than we know. I think they’re going to have a hard time coming up with someone significantly better than Hellickson for a price they want to pay. That’s part of where the rubber meets the road here. The Nats aren’t trading Soto and Robles, and probably not C. Kieboom, who they need as an INF replacement for Murphy or Rendon. Beyond them, the quality of their prospect stock drops rapidly. Romero is said to have high-end talent, but he’d be hard to give away right now. Then you’re down to very young Garcia (doing well at the plate but lots of E’s) and Antuna (not yet hitting like hoped). There’s also Daniel Johnson, who is hitting OK overall but whose power has vanished at AA, and Stevenson, who would be fine on a second-division team. Leaving out Soto/Robles/Kieboom, I don’t see any combo of those guys bringing Realmuto or a top starter. If they wanted to go big, I’d actually think about trading Robles, but that’s probably just me. I think Michael Taylor would be a really valued piece for the Marlins (as a local product) or Royals (Perez), who may be enamored of a deal that includes Crowe or Rodriguez. Perhaps Voth or Fedde? I agree that the Nats should not give up a heavy bat like Kieboom. And with high ceiling lefty starters as valued as they are, I’d be reluctant to trade Romero ow unless he is truly not liked. Garcia should be untouchable as well. He’s on an upward trajectory with an unclear ceiling at only age 18. Daniel Johnson had hamate surgery. Give him a year, his power will be back in AAA. He would be a low sell right now. When did DJ have hamate surgery? I missed that. I don’t think Taylor’s remaining years of control would be that appealing to MIA. I’m almost done wanting them to trade anyone else. I don’t feel good about this team, not enough to thin out the future roster anyway, and if that feeling is going to change, it will come from internal improvements from Turner, Murphy, Harper and Rendon, not anyone they get on the trade market. Would a better hitting catcher be nice? Of course. But those aren’t easy to come by, and the Nats have gotten some value from the defense of Sevy and Kieboom, at least. If they could get something helpful (ie Brandon Drury) for the next tier of position players, like Agustin, Mendez, then maybe it makes sense. I’ve wondered about out of the box stuff like flip Gio for Sonny Gray? Maybe Gray bounces back in the NL, while Gio is better right now for NYY? But I don’t think any of that makes a whiff of difference compared to the above 4 guys reverting back to prior form. Any injury updates on Robles or Ross? With the UF season on the line, Jackson Kowar struck out 13 in 6.2, giving up no runs. Just sayin’. But if I were the Royals, I’d be pissed that he stayed in for 121 pitches. The team needs a catcher upgrade more than anything. But I think what we have that would get Realmuto is too high a price. Our old friend the buffalo is a rental, an improvement, and likely to be available for lesser prospects. It seems like an obvious move. The Nats have recent trade history with the Bucs (Cervelli), Rays (Buffalo), and of course the A’s (Lucroy), so it’s not hard to imagine conversations with any of them. (I’m not sure the Nats would want Perez’s contract from KC, plus he’d cost more in a trade.) Cervelli is quietly having an outstanding season, putting up numbers close to Realmuto’s. The only rub with any of these is that they all bat right-handed. Wieters is much better RH than LH, so the ideal would be a LH hitter to platoon with him. Marty you always try to bait me. In Harper’s defense; he’s seeing like the 2nd least strikes in the zone thanks to absolutely zero protection (he’s been without Zimmerman or Murphy all year) … and his babip is still god-awful. So despite hitting .220 he’s still got a 140 WRC+. He’s destroyed his FA value. 100% And on top of that, all of us were saying “oh well Robles and Soto will replace Harper” … well now wesee that Soto (who was the consolation prize) has been fantastic. … we’re talking like ROY good. He’s making a case for a MLB minimum salary in 2019 replacing Harper nearly 1 for 1. Harper has 10 WAR capability (like Trout) … but is too injury prone to depend on. I’m completely ok with letting him walk and lining up in 2019 Robles Soto Eaton and having perhaps the best defensive OF lineupin the majors. I dunno, if this makes Harper go for a 10/$250m contract with an opt out after 3 years, I’d do that. Masn was talking about that as a positive report, whereas I see it very ominously. Like surgery still isn’t out of the question. I wonder if he’d do something like a 3 year high AAV deal right now, knowing he could regain some value and hit the market again. Probably not though knowing who his agent is. Robles news is not good. How do you not know if you need surgery or not at this point? Just was doing some draft class work and the twitter accounts of both our South Carolina draftees say they’re not going to sign. So that’s 12th rounder Graham Lawson and 17th rounder Ridge Chapman. On paper, I thought Chapman looked better than Lawson. Lawson is already 22, so 23 at the time of the draft next year. Good luck with that. Just curious that two guys from the same program — the program from which the Nats have drafted Crowe and Schrock — both bailed. — Soto is ready to be an MLB starter, likely of star quality. Since he started the season four steps below the majors, there was no guarantee that he’d be anywhere close by next year. — Eaton will be fine. — Taylor will always be streaky and will always strike out nearly a third of the time. — Robles has lost at least half a year of development, maybe a year. — Goodwin seems to have taken a significant step backward without Dusty encouraging and instructing him. — Harper probably isn’t getting $400M. Bryce and Boras have to like the way Rizzo and Martinez have stuck up for Bryce, right? The franchise clearly has his back. Is there a deal to be made? I don’t know. My guess is that if there is, Boras would want to slide the first opt-out up to the two-year mark of the contract instead of the three-year mark, basically taking a semi-friendly deal to let Bryce rebuild his value. But considering the year Bryce is having, the Nats can’t agree to some inflated numbers after the opt out just in case the old Bryce never completely returns. I don’t know. I think the Nats probably would do 10/$250M, but I don’t know that Boras would see that as enough. But I also don’t see a huge number of teams that will be in the bidding, at least teams where Bryce really would want to play. Just because Philly has money doesn’t mean that one would want to go play there. Callis has Chandler Day (7th round) signing at slot. Denaburg is really the only one matters now. Everyone else is a bonus, whereas he would be a massive setback. Good outline of what we know. I agree with most. My only quibbles would be that while you’ve captured MAT’s bat, his D and baserunning are plus, making him an average player (2WAR) player all in. That’s not terrible and with robles’ lost year, probably makes sense to start 2019 with him unless Harper returns. Even then he is a good 4th of who gets 400 PAs. And Goody has played so little, it’s more incomplete than subpar. I think they will shop Taylor after this season. I don’t know whether they will get what they want for him, although his decreasing playing time this season may keep his arb price down for potential buyers. They’re not going to give him away, though. Could they trade him now? Hard to say. I do think it’s fair to say that Soto has “arrived.” Right now, Taylor is there mostly for insurance for Eaton. He’s not much for the bench, though, other than as a defensive replacement. His career PH numbers are frightening: .133/.188/.233. Another scenario could be to plan to keep Taylor but trade Robles. I know that’s a bombshell idea, but I think it’s more in play now with Soto’s unexpectedly early arrival. It would be even more of a thing if there’s a chance Bryce stays. Soto and Eaton (great contract) aren’t going anywhere, so there’s only one more OF slot going forward. I don’t know. I’m not particularly advocating for any of these. I just think that what Soto has done has opened up some possibilities that weren’t previously considered. I’m officially panicked with Gio and especially Tanner. Seems they’ve both fallen off the cliff. Wouldn’t mind seeing some orchestrated DL stints for those guys just to see if the rest helps. Fedde and JRod have been just as effective in keeping the team in games as these two. Secondly, can we make a list of the things this team is doing/has done really well this year consistently? Best I can think of is not blowing a lot of late leads. I guess I’m happy that they’re still contending and not 10 back already. Hellickson supposedly is making a rehab start at Potomac on Sunday, lined up with J-Rod. He may be back next week. Stras was spotted throwing in the OF pregame today, which is very encouraging. He may still be a few weeks away, though. But yes, Tanner’s start tonight was ugly. I think Bryce’s slump shows that babip is useful only in the shortest of sample sizes. That was the same excuse we rolled out a couple months ago. Soft contact = low babip. If Harper needs a superstar bat to protect him from hitting Mendoza he is not worth $25 million. Because then you need to spend another $25 million to make him useful. Who protects Freddie Freeman all these years? Nobody. He just rakes. – BABIP for 2018 is a ridiculously low .208. In his stellar 2017, 2015, 2014 seasons he always had BABIPs in the .350 to .360 range. I leave out 2016 because we now know he played most of the year with a bum shoulder. – League average BABIP is in the .290-.295 range, Harper’s career average is .314. – year over year, his walk rate is up, his K% rate is relatively steady. His ground ball and fly ball rates are almost the same as in 2017. His contact rates are actually *better* than last year, with a higher percentage of “hard hit” balls and a lower percentage of weaker hit balls. – he’s pulling the ball way more this year versus last, giving up more h its to left and center. Harper sees the 4th least pitches in the strike zone of anyone in baseball. Harper has the 4th worst BABIP in the league this year. – Harper rarely sees pitches in the zone. – When he does see them he’s hitting them really hard. – but he’s often hitting them right at people, or hitting into the shift. so yes he’s in a slump. no duh. But to claim he makes “soft contact” is utter bullsh*t. And yes, the combination of his quality as a hitter combined with literally nobody else in the lineup to protect him is important. Freeman is a really poor example; he has had other sluggers around him, and he’s played for a team that hasn’t played a meaningful regular season game since 2013. Todd, your inability to admit Harper can ever be playing poorly is just hilarious. You must not be watching many of the games. he has looked lost up there, not unlucky. He is failing the eye test, swinging and missing a lot of strikes and rarely even gets a ball to the warning track. 19 homers and only 7 doubles all year so far? And most good stats front loaded from a couple weeks in April. Why throw him strikes if he’s chasing everything? it’s okay to say a guy is playing poorly when he is. No need to keep crafting statistical arguments that he’s really playing great when he is one of the worst hitters in MLB for months now. And the protection argument is a joke. Murphy doesn’t need protection to get a hit. Nor does Trout, Freeman, or the other truly great hitters. And I still do not agree that he was significantly injured in 2016. Even Boras said he wasn’t hurt. But throwing that year out sure helps your arguments. Its also why we can (for example” look at a pitcher with a 2.00 ERA but a 5.00 FIP and 1.80 whip and say things like, “well, he’s been pretty lucky so far he’s not as good as his ERA seems.” Why do you discount these new stats so much? Front offices certainly don’t. Oh, btw as far as your comment about how “throwing out 2016 helps your arguments” … why don’t you google “was bryce harper playing hurt in 2016” and read for yourself after the fact quotes from Harper, from respected baseball reporters, etc. Down to Denaburg and the coin they have saved from the earlier signings and then, a senior sign in the tenth round. There is enough house money to pull someone into the fold who is now “going back to school,” assuming they don’t go above slot for Denaburg, who keeps collecting HS hardware.